Part 1. 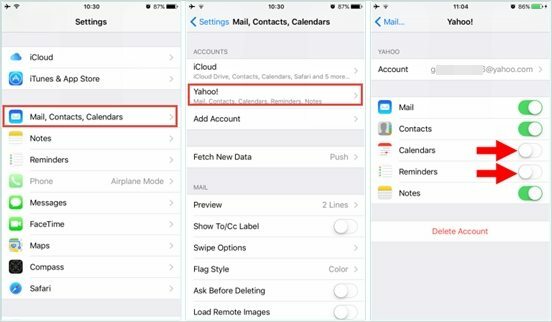 How to Set a Reminder on iPhone? Part 2. How to Set a Due Date Reminder on iPhone? Part 3. How to Set a Repeating Alert Due Date Reminder on iPhone? Part 4. How to Add a Location-Based Alert in Reminders iPhone? Part 5. How to Get Reminders to Pop Up in Notifications iPhone? 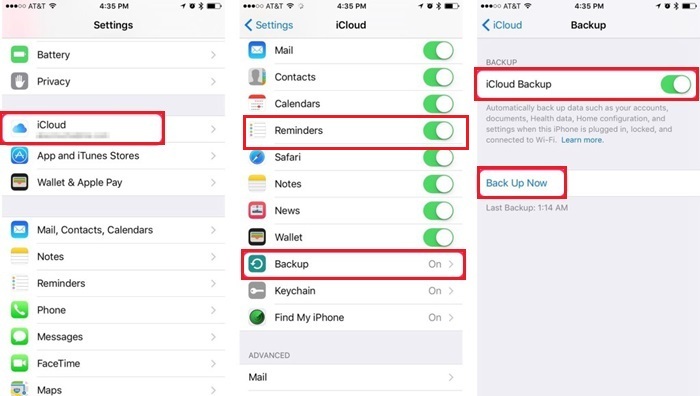 Extra Tip: How to Recover Deleted Reminders on iPhone? To set a reminder on iPhone, follow the procedure below. Step 1: Launch the Reminders app from your home screen. Step 3: Tap the Add Reminder icon to display the keyboard. The Add Reminder icon is a '+' sign. Step 4: Type in your reminder then finalize by tapping Done. To set up a due date, follow the procedure below. Step 2: Select the list you wish to a due date reminder. Step 3: Select an existing reminder by tapping it. Step 4: Tap the Info icon, it's an 'I' enclosed in a circle, located in the top right corner of the screen. Step 5: Set or change the date and time of the alert b tapping Alarm. Do so by swiping the picker up and down. Step 6: Tap Done to complete the process. To set a repeating alert due date reminder on the iPhone, follow the procedure below. Step 2: Select the list you would like to add an alert by tapping it. Step 3: Select the reminder you wish to add an alert to or create one. Then tap the Info icon, it's an 'I' enclosed in a circle, located in the top right corner of the screen. Step 4: Tap Repeat. A list of alert options will be displayed: daily, weekly, monthly or yearly. If you want a custom, alert tap the Custom button and set date and time by choosing Remind me on a day. Step 5: Tap Done to finalize the process. To add a location-based alert in Reminders, follow the procedure below. Step 2: Select the list you want to add a location-based alert. Step 3: Select the list you would like to add an alert by tapping it then select the reminder you wish to add an alert to or create one. Then tap the Info icon, it's an 'I' enclosed in a circle, located in the top right corner of the screen. Step 4: Tap Remind me at a location, tap Location after the location option appears. Step 5: Tap Allow to grant Reminders app permission to access your location while still using the app. If otherwise, tap Don't Allow. Step 6: To display the map ta the desired location; tap search bar to search for a location; select one of When I Arrive or When I Leave to choose when to get the alert. Set the range by sliding the black dot. Step 7: Tap back then save your reminder by tapping Done. To get reminders to pop-up in notifications, follow the procedure below. Step 1: Open the Settings app and tap Notifications. Step 3: Choose to where you want the reminder notification to appear: badge app icon, lock screen or in Notification Center. In case you have deleted or accidentally lost any reminders, we highly recommend that you use Tenorshare UltData. Tenorshare UltData is a handy tool that allows you to recover deleted reminders on iPhone by previewing and selectively recovering them and recovering with or without iCloud and iTunes backups. Follow the procedure below. Step 1: Download, install and run Tenorshare UltData on your PC and Mac. Connect your iPhone to your computer using a USB cable and click Recover from iPhone if it's not selected by default. Step 2: Click Start Scan and select Reminders along with any other data you wish to recover. Step 3: Click Recover to recover your reminders. Wondering how do reminders work on iPhone? This article details everything you need to know. In case you have deleted or accidentally lost any reminders, we highly recommend that you use Tenorshare UltData.